The Grandland X is ready for your adventure. In fact it looks ready for anything. with its elegant lines, muscular curves and an athletic poise it has brains, brawn and agility packed into this powerful SUV. No matter what your journey, from a school run to a grand tour, it’s a greater ride in the New Grandland X. Spacious, comfortable and smart, its hi-tech innovation, style and design makes any journey fun. A new generation of driver assistance systems protects New Grandland X with a safety zone for maximum relaxation and minimum risk. For example, traffic sign recognition, lane assist and an automatic emergency braking system which can safely slow your speed in heavy traffic, while keeping you in total control. Tight parking spot? New Grandland X doesn’t just look out for you: it looks all around you. There’s an optional 360° surround vision camera that shows objects surrounding your car on screen. Makes reversing out of a tight space easy. Own a car that thinks at the speed of light. Adaptive forward lighting is New Grandland X Elite’s intelligent LED headlight system that shapes the beams according to your driving situation. Sit down and relax, we’ve got your back. In fact, your back couldn’t be in safer hands than with New Grandland X’s optional, ergonomically certified AGR sports seats. Featuring full lumbar support, extendable and tiltable seat cushion and plenty of adjustable settings, it’s great back therapy. Journeys just go quicker with great entertainment don’t they? 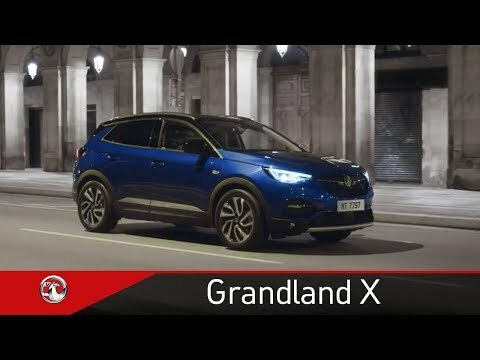 With New Grandland X you’ve got state-of-the-art entertainment. Every model features a colour touchscreen that lets you seamlessly connect your mobile devices to enjoy your music, stay in touch and find your way with sat nav standard on most models. Some stunning photos taken by one of our staff to share with you of his Grandland X North Coast 500 road trip to Caithness.